How can you make the best use of your ERP system? What does it take to harness the full potential of your ERP applications to enhance organizational productivity? How can you see that you get the maximum value for your ERP implementation dollar? Well, you need to deliver effective training to your people on the system. Here is an info-graphic that explains why. Hope you find this post interesting. 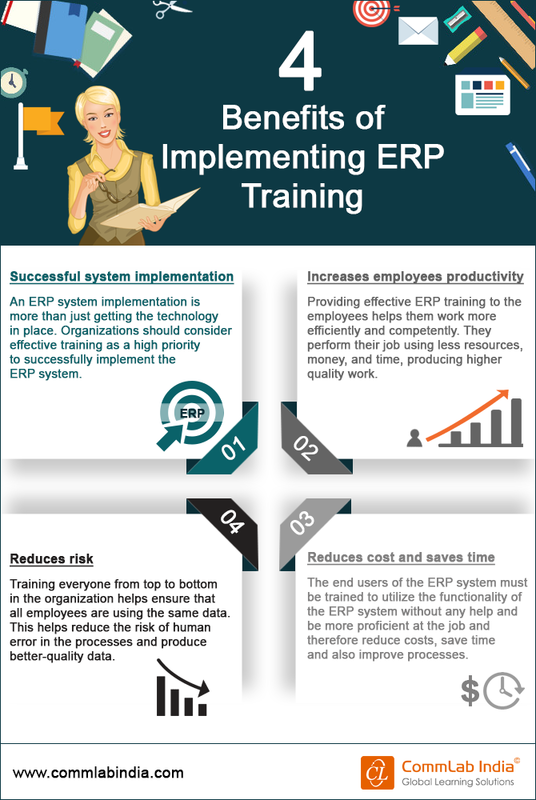 What are your experiences with ERP training? Do share with us.